This upcoming Saturday it's finally time for the first Pimpvitational tournament. It was first planned to be held about a year ago, then again last summer, and again in October. Turns out it's pretty hard to schedule an invitational tournament in this format, when most of the regular players have some combination of kids, jobs and spouses. The Pimpvitational is a tournament where the 8 highest ranked players in a seasons pimpwalker standings are invited. These players then compete in a slightly different form of 93/94, where the winner gets a whole lot of glory, and an awesome binder (made by Stalin's girlfriend). Here's a quick quiz. Look at the picture below for ten seconds. Which card looks highly suspicious? Did you see it? 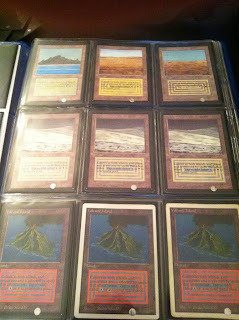 Newer players might miss it, but most old school players and collectors knows that the beta Volcanic Island don't have the small white dot in the lower corner. Almost all beta cards have this dot, but a few cards that changed (or were added) since the Alpha printing lack the dot. Volcanic Island is one of them. 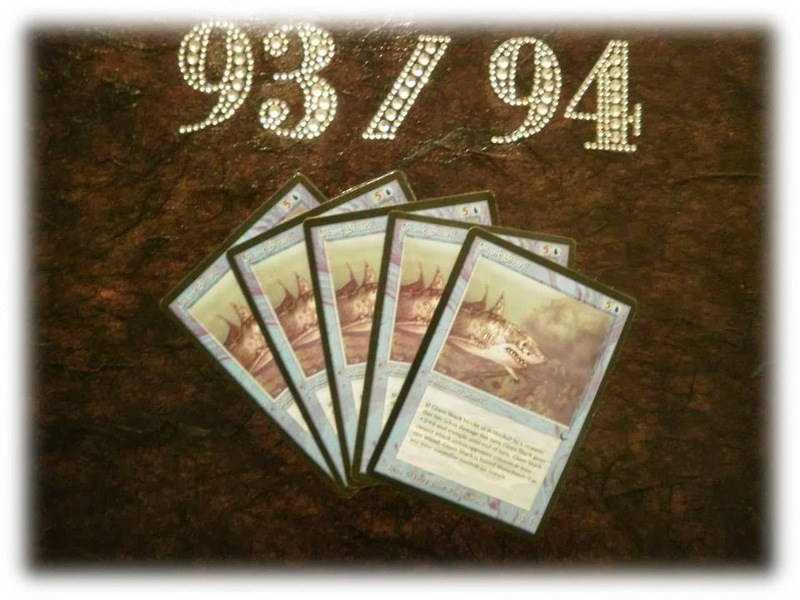 On a personal note, 2013 has been a good year for old school magic. It has been the first year I've played the format outside of Sweden; in both Germany and Oslo. There have been a lot of nice guys contacting me via email to tell me about their experiences, in Canada, USA, and France. I've also managed to post in this blog about once a week throughout this year (58 posts, to be exact), which was my goal for the year.